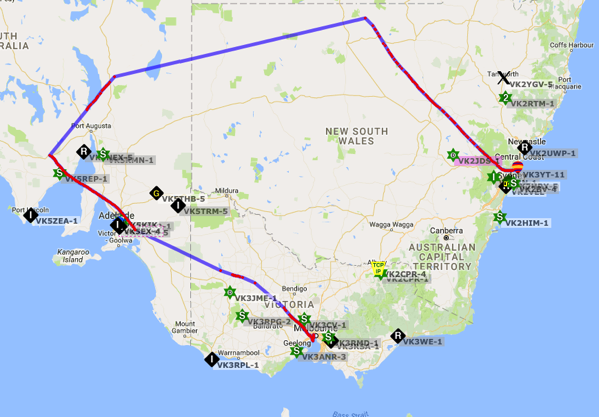 PS-71 is planned for release at 7am Sat 18 Mar 2017 AEST. 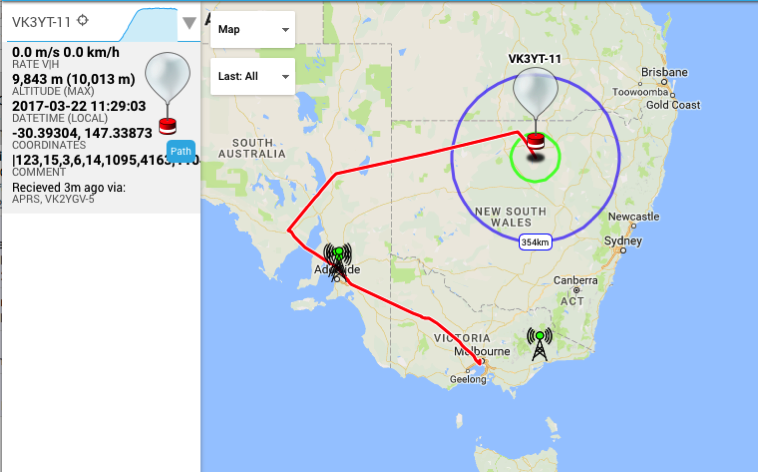 PS-71 was released on Sat morning, spent the last few days over South Australia and the Outback, tracked by VK3 and VK5 stations (thanks guys!). 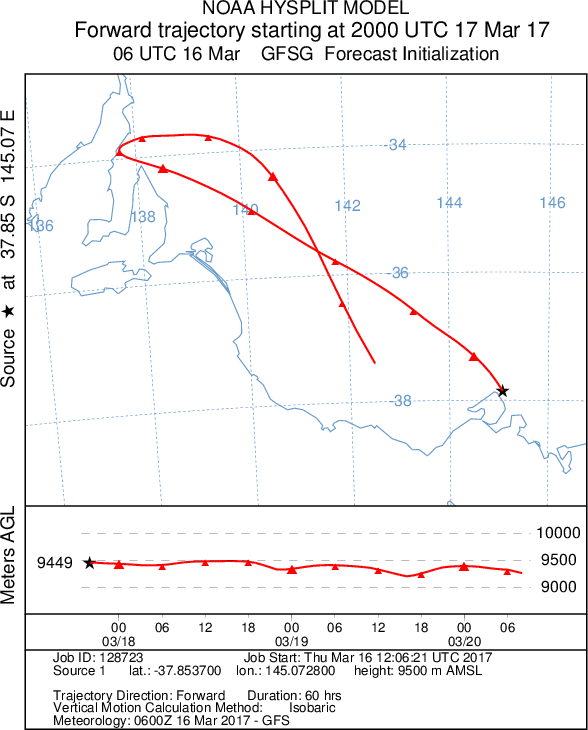 It went out of range on Monday, and reappeared this morning over Bourke, NSW, heading towards Sydney. 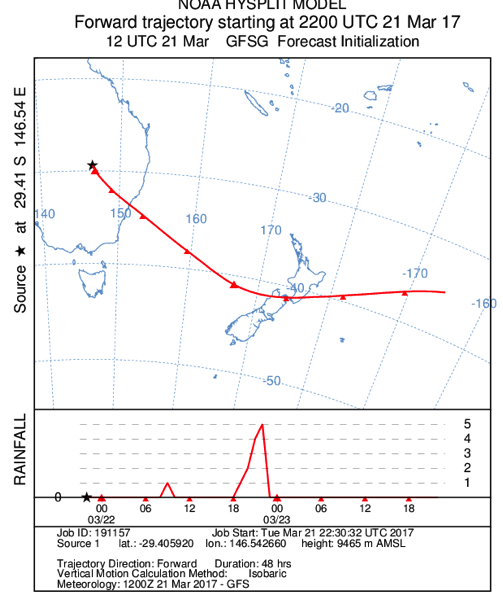 This entry was posted in Flights on March 16, 2017 by andy.